Signature cocktails! 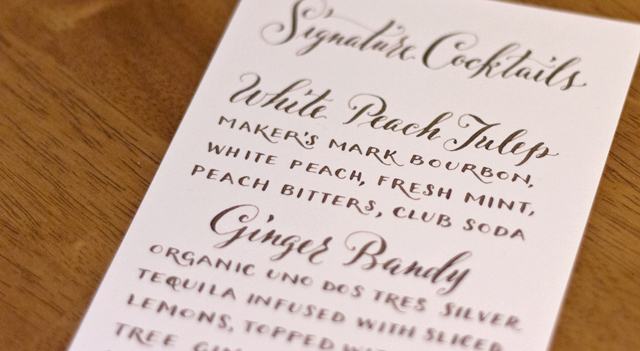 This bride and groom each designed their perfect cocktail and offered them to guests at their reception. Don't they both sound delicious?